TILE & GROUT CLEANING that DOESN’T cost you a fortune! Your tile and grout can take a real beating but even it needs a good deep cleaning every once in a while. Mopping only cleans a small fraction of your flooring and over time leaves lots of dirt embedded into your tile and grout. Have you ever mopped your floor and afterwards you couldn’t see any difference than when you started? That’s because the grime and dirt from previous cleanings have embedded itself in your tile and grout and the only way to get it looking great again will be to have it professionally cleaned. 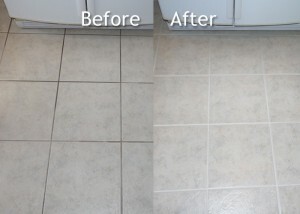 Just look at the difference proper tile and grout cleaning can make! 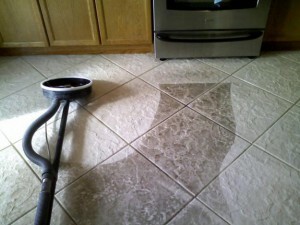 We offer the best value on tile and grout cleaning in the area. 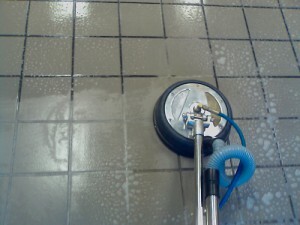 We will match and beat ANY competitor’s advertised price or written quote on tile and grout cleaning…. GUARANTEED! 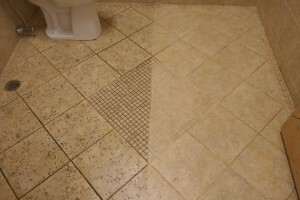 This is typically how tile and grout will look before it’s cleaned. 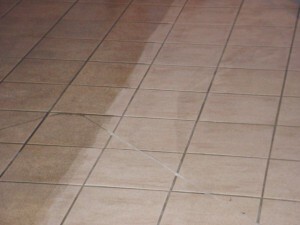 Just look at the difference professional tile and grout cleaning can make! The home owner couldn’t believe how dirty her tile and grout actually were until we cleaned it. After properly cleaning the floor it looked like it had just been put down! Needless to say the customer was THRILLED with her tile and grout cleaning results. We service Fishers, Indianapolis, Avon, Brownsburg, Broadripple, Carmel, Noblesville, Greenfield, Mooresville, Martinsville, McCordsville, Plainfield, Westfield, Zionsville and Greenwood Our professional carpet cleaning staff is is certified to service all of your carpet, upholstery, and dryer vent cleaning needs. Our company has built our reputation by providing Quality, Value and Service for many years in this area. Call us: (317) 348-5122 - - - Mon - Fri: 8 AM - 5 PM and Sat 9 AM - 2 PM.